A tweet from lead core gameplay designer on Battlefield 4 Alan Kertz reveals that the PS4 version will exclusively use the L2/R2 triggers for aiming and shooting, respectively, with no confirmed option to switch to L1/R1 (the norm for first person shooters on PS3). @colonelwheel Given that the ps4 triggers are so much improved we will likely use them to aim and shoot. 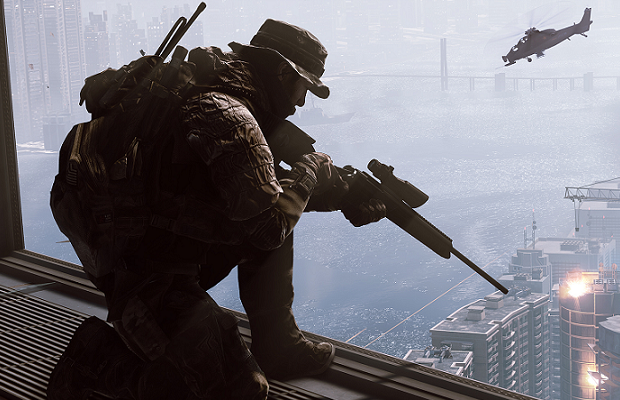 Battlefield 4 will be available October 29 for PC, Xbox 360 and PS3. PS4 and Xbox One release dates will likely be confirmed when the console launch dates are. Will you be picking up a copy for PS4? Follow and like us on Twitter and Facebook and let us know.